The year was 1952. A young James A. Lovell Jr. graduated from the United States Naval Academy at 11 a.m., and then married his high school sweetheart Marilyn Gerlach at 2 p.m. on the same day. Soon after, as the newlyweds were driving from Illinois to Milwaukee to attend their wedding reception, they happened to stop at the Walgreen’s soda fountain counter in Lake Forest for lunch, then wound their way north on bucolic Green Bay Road, and fell in love with the beauty of our town. It would be nearly three decades later when the opportunity presented itself to move to the Chicago area; and they immediately focused their search for a new home in Lake Forest, moving to the Villa Turicum subdivision in 1981. 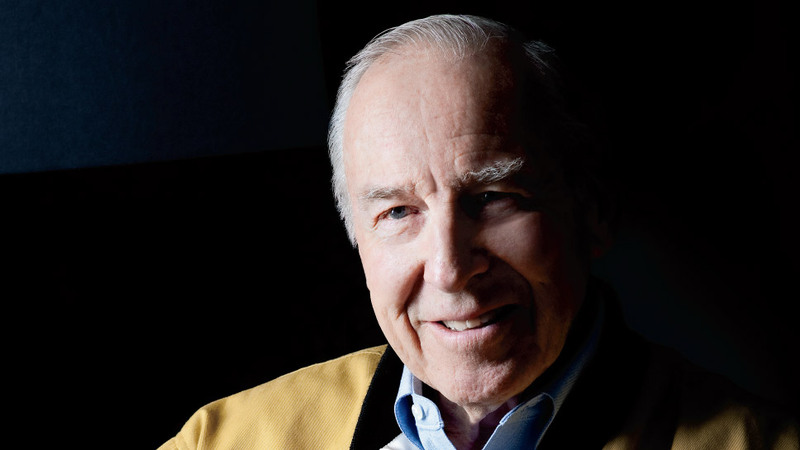 But first, there would be Lovell’s very important years as an astronaut (he was selected by NASA in 1962), Gemini and Apollo missions, four children and family life in Houston; not to mention that fateful date in 1970 now immortalized by the words, “Houston, we have a problem,” spoken by Captain James Lovell and later, actor Tom Hanks in the blockbuster hit movie, Apollo 13. Captain Lovell turned 90 in March, and 2018 also marks 50 years since the Apollo 8 mission. Lovell served as navigator for man’s maiden voyage to the moon in December 1968 on Apollo 8, which was the first manned spacecraft to be lifted into near-earth orbit by a 7½ million pound thrust Saturn V launch vehicle. Lovell, with follow crewmen, Frank Borman and William A. Anders, were simultaneously propelled into history as the first humans to leave the earth’s gravitational force. To celebrate that pivotal achievement in American’s daring exploration of space, The Women’s Board of the Adler Planetarium will honor Captain Lovell at its Celestial Ball black tie fundraiser on September 8. As part of this, it recently launched a “Letters to Lovell” campaign, inviting the public to write notes directly to Lovell to say thank you and express how his story has encouraged them to pursue their dreams. “This [Apollo 8] is a story in itself,” says a distinguished Lovell, wearing a button down Burberry shirt, cardigan sweater, and horn-rimmed glasses, over coffee at Jay Lovell’s (his son Jay’s casual eatery) in Highwood. “A story of boldness, adventure, and exploration—much like the Lewis and Clark Expedition—and the quest to beat the Russians.” He recalls, of the unforgettable moments as navigator of Apollo 8, leaving the Earth’s orbit: “The earth still had us; we were still attached. 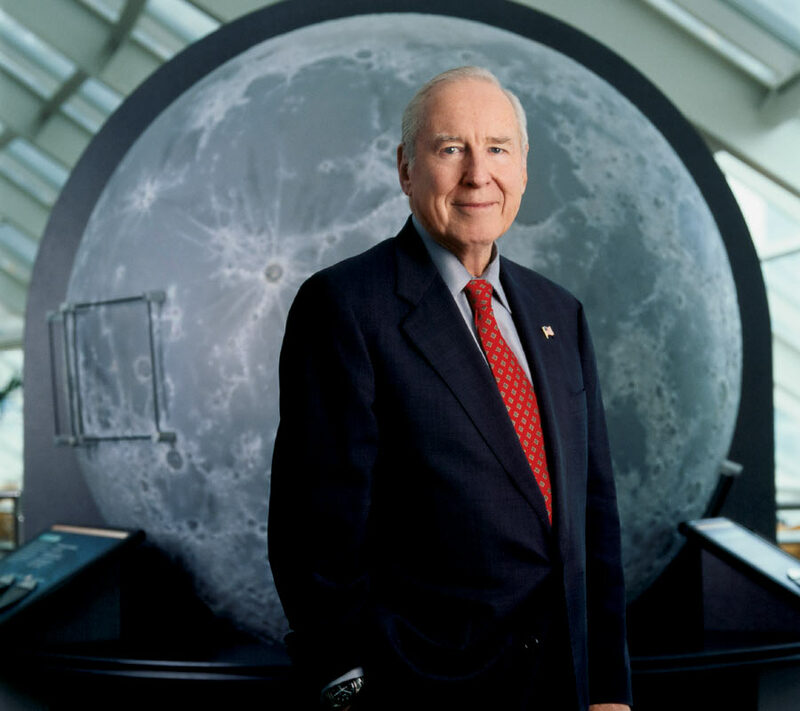 And then as we left the sphere of influence, instead of slowing down, we started to speed up towards the moon.” While Apollo 8 occupies a significant place in history, it is the Apollo 13 mission that comes to mind first when we hear the name Captain James Lovell. He is now referring to the Apollo 13 mission, which could have cost him his life had it not been for the resourcefulness and ingenuity of the team at Mission Control working with the three astronauts—James A. Lovell, John L. Swigert, and Fred W. Haise—aboard. At the time leading up to the Apollo launch, though, Lovell says that Americans had gotten complacent about the space program. Lovell took his self-imposed mission seriously, carrying it with him beyond his days as an astronaut (he retired from the Navy and the space program in1973) all the way through present day. After his retirement from NASA, Lovell went into the business world. He would go on to hold positions as president and CEO of Bay-Houston Towing Company; president of Fisk Telephone Systems, Inc.; and ultimately as executive vice president of Centel Corporation (the position that brought him to Lake Forest) before retiring a second time in 1991. Life in Lake Forest included seeing his youngest son Jeff graduate from Lake Forest High School and his other children begin their careers, marry, and start their own families. In 1997, his family built and opened Lovell’s of Lake Forest, a family owned and operated fine dining destination that endured through 2015. In the downstairs Captains Quarters, many a guest marveled over the floor-to-ceiling glass enclosed display case that occupied one full wall of the cozy pub area and housed some of Lovell’s iconic NASA memorabilia—part of the heat shield from a spacecraft, manuals used by astronauts aboard the flights, and letters he received from friends and luminaries after Apollo 13’s safe return. The huge astronaut mural that greeted guests as they entered the restaurant was a personal gift to Lovell from friends Tom Hanks and his wife Rita Wilson; it now hangs in the Captain James A. Lovell Health Care Center, which opened in 2010 and is named in honor of the former astronaut. Even after all this time, people young and old remain fascinated about America’s early and ongoing space odyssey, and the lasting impression Captain Lovell has made on their lives. His 90th birthday and the anniversary of Apollo 8 offer the perfect opportunity for anyone to express their sentiments through Adler’s “Letter to Lovell” campaign, which will serve as a lasting testament to Captain Lovell’s legacy and timelessness as a true American hero. Lovell is a lifetime trustee of the Planetarium, and has been part of the Adler family for many years. In 2005, he generously donated many of his personal memorabilia and artifacts from his storied career to Adler’s collection, affording guests a unique glimpse into the lives of those that took America’s first steps into space. Captain Lovell has earned many awards and accolades over the years. Here are just a few: He held the record for time in space with a total of 715 hours and 5 minutes for many years, until surpassed by the Skylab flights. He received the Presidential Medal for Freedom in 1970; a NASA Distinguished Service Medal; City of Houston Medal for Valor in 1969; the Sam Houston Area Council 1976 Distinguished Eagle Scout Award; and finally, the Congressional Space Medal of Honor. But, beyond being remembered for all of his accomplishments and the honors bestowed upon him, the now-nonagenarian James Lovell simply wants for his legacy to inspire people to look up, explore, and achieve the impossible. God bless Captain Lovell. A true American hero.